We went to Oxford to have lunch with Gill, Paul and Erin, to celebrate Erin’s 16th Birthday. After a very nice meal we went to Thirsty Meeples to play some boardgames. Elaine asked if they had ‘Chinatown’, a game we thoroughly enjoyed at UKGE at couple of years ago and now sadly out of print. A copy was available, so settled down to play. Essentially the game revolves around economic area control, but the key feature is the negotiating phase where deals in any form can be made. With 5 players this can be complex and fun. Everyone can see what each player has and wants, but their cash reserves (i.e. victory ‘points’) remain hidden. The first couple of rounds are fairly restrained, which allowed Gill et al. to get a feel of the game and appreciate the tactics required. By the end, I felt that Paul had a good lead, and think most others agreed. We tallied up the final scores and surprisingly Gill was the winner (order: Gill, Paul, Erin, myself, Elaine). On reflection, Gill made a lot of small but highly profitable deals, compared to Paul’s larger, more spectacular efforts. 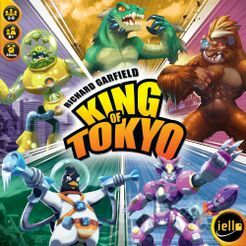 Next we played ‘King of Tokyo’ because I wanted to compare it to our recent game of ‘King of New York’. Whereas a New York has more options for players outside the city, Tokyo is more of a take-that type of game. Both are good fun, with Tokyo easier to teach and understand. I was the first player eliminated when Paul bought a power which inflicted 3 hits to all monsters. Elaine was next out, closely followed by Erin, who stayed in Tokyo too long (but she had acquired a lot of victory points). So it boiled down to a battle between Paul and Gill, with Gill emerging as the victor. So, Gill won both games, Paul came second and Erin third. A really enjoyable afternoon in Thirsty Meeples, a venue that has a lively, friendly atmosphere and a place to play favourite games that are out of print. 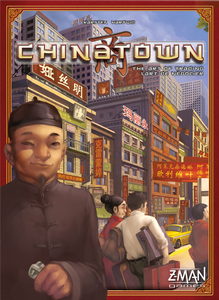 I would love to acquire a copy of Chinatown, and I will continue to scour B&B stalls on the off chance of finding a copy (or, ZMan could reprint - hint).